• as a highly sought out business development corridor because of its significant volumes of traffic. Based on the recommendation of this study, CBRM’s Municipal Planning Strategy contains a policy which states that no new business developments on previously undeveloped sites, or sites unoccupied with business development, shall be permitted along this corridor where the speed limit exceeds 60 kilometres per hour, unless the site can be accessed via a signalised intersection. Kent Building Supplies is proposing to relocate their retail business to a site just west of the City Motorsports/Polaris site at 914 Grand Lake Road within this corridor, which will be accessed by a roundabout. Since roundabouts are not listed as an option to manage traffic flow, the applicant is requesting roundabouts be added to this Municipal Planning Strategy policy. Before making a decision in response to this amendment request, Council would like to obtain input from the public. 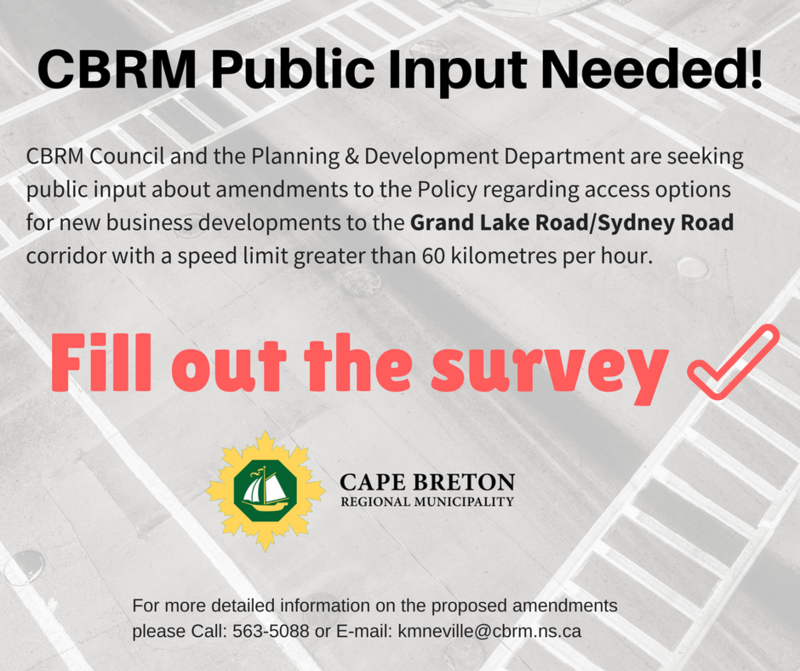 Please note: that an amendment to policy would not only apply to the proposed Kent Building Supplies, but also to any new business development along this sector of Grand Lake Road/Sydney Road with a speed limit greater than 60 kilometres per hour.